The Rebel Sweetheart. 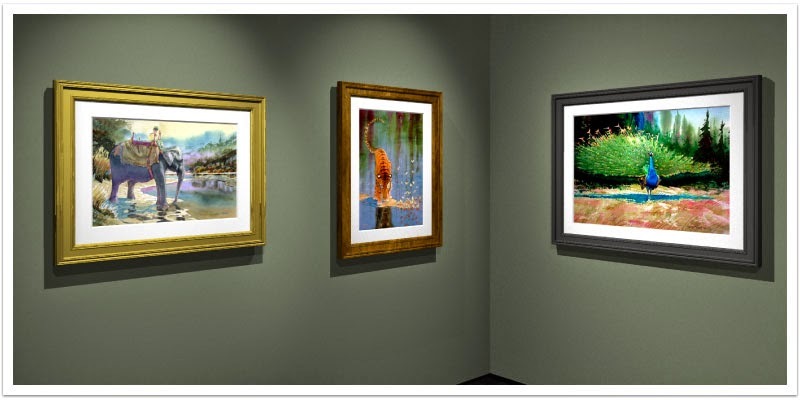 : Choosing The Frame That's Right For Your Artwork. The process of choosing a frame for your artwork should be exciting, but it can also be quite difficult. It doesn’t matter if you’re an art collector or artist; you deserve a frame that complements your artwork. As long as the right frame is chosen, it can make your artwork breathtaking. However, there are endless options to choose from. With such a wide range of options to choose from, there is always the chance that you’ll choose the wrong frame. There are some simple tips that you can follow and use to make sure you choose a winning frame for your artwork. Photo credit: View Art Better. You can buy a number of premade framing options, which are available through framing services. In most cases, these are good solutions. The only issue with premade framing is that it can require you to make some compromise. You can pay for bespoke framing services and get a frame that has the perfect size, texture and color for your artwork. These days, many frames have a lip, which is designed to cover the edge of the artwork. Put simply, all of these types of frames have an obstruction. Most people don’t want an obstruction. You want to choose a frame that has a unique profile, so the frame can easily attach to your artwork on the back. All artwork has some sort of purpose to serve and has a greater message behind it. If you want to make sure your art serves the right purpose, then you need to match your frame with your message. Style and color are certainly important, but it’s important to view the artwork and frame as one a whole. The frame you choose should do justice for your artwork. It’s true that premade framing has a place, but you should also consider custom framing options. The Sydney Canvas Company provides bespoke framing services and art materials in Sydney, which will ensure your artwork is in good hands. You can go to www.thesydneycanvascompany.com.au for options.